With research, patience, and effort, you can sell your own home in the greater New Orleans area, saving money you’d otherwise spend on a real estate agent’s commission. If the extra homework and effort are too much for you to manage, we buy houses for cash, no repairs or further investment necessary. Selling your home “For Sale By Owner” (FSBO) doesn’t have to be difficult, especially if the real estate market in your area is ripe and the inventory of available homes is moving quickly. Saving on commission: By not having to pay commission to a real estate agent you can lower the asking price by up to 6 percent, or keep the asking price and pocket the difference. It adds up. For example, 6 percent on $350,000 is $21,000 — a lot of money to see go to someone else. More options to promote: Back in the day the only advertising options were an ad in the paper and a sign in the yard. With the advent of technology and unprecedented access to Internet tools like property-listing platforms, homeowners can be their own real estate agents. By using emerging websites like Beycome and Fizber, sellers can confidently work with buyers directly. Also, these days, anyone can take decent pictures with a digital camera, so there’s no need to hire a professional when you can DIY or get a friend to help. Access to DIY real estate tools: One of the most valuable tools used by real estate agents is the Multiple Listing Service (MLS), which allows agents and brokers to share listings with each other. It’s now available to FSBO sellers. DIY real estate sites like FSBO.com offer flat-fee MLS packages in several tiers. For a fee, sellers can reach hundreds of buyers with an online listing that includes high-quality images and a virtual tour. Sites like Realtor.com and Zillow.com can help you determine what your home is worth by reviewing comparable real estate listings in your neighborhood. You don’t have time to promote and sell your house. Selling your house can feel like a full-time job, so if you already have one, be realistic about how much time and effort you can devote to the process. You’re on a tight schedule and can’t be on site in person to show the property. You don’t feel confident or comfortable with the process. Not everyone can price a home accurately, and then expertly market it and negotiate the sale. If you feel like you lack those skills it may be best left to the professionals. Researching the market price: Since pricing your home competitively is essential, first get an idea of what comparable homes in your area are selling for. You can consult online sources or a professional. Pricing to Sell: Either list for the fair market price, or, depending on the inventory in your area, you can lower the price by 3 to 4 percent. Research shows that setting the asking price just below a round number (for example, $299,000 vs. $300,000) may draw more potential buyers. Preparing Your Home: There are many things you can do to increase the appeal — and the asking price — of your home. These include making cosmetic repairs, purging your stuff, and cleaning the house inside-out. From staging to increasing curb appeal, there are many ways to get your house ready on most budgets, allowing its selling points to shine. Screening Potential Buyers. Ask for a pre-approved mortgage letter along with the offer from all potential buyers. Negotiating. Perform your own negotiations to lead to an offer, contract, and closing. This process, which can get complicated, may be outsourced to a real estate agent for a flat fee. Working With a Lawyer or Title Company during closing ensures that both you and the buyer’s interests are protected and that all contracts and agreements comply with state and federal laws. Selling a home — whether you decide to enlist professional help or DIY — is not for everyone. 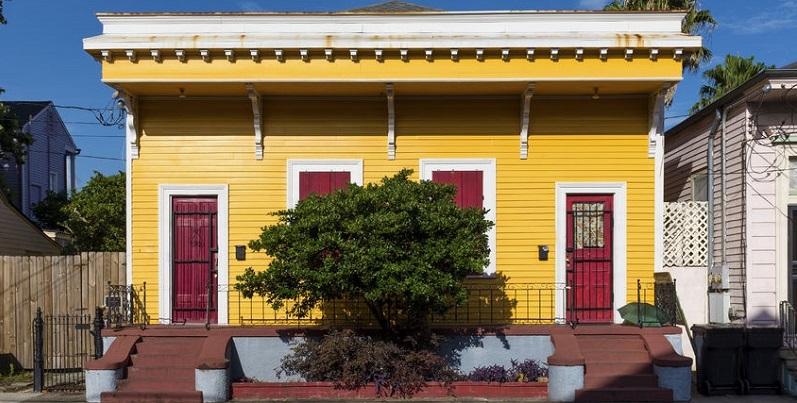 At Big Easy Buyers, we buy New Orleans houses for cash, which may be the right option for you. With Big Easy Buyers, you won’t need to use any of the DYI tools to price and market your house. No staging or increasing curb appeal will be necessary — and neither would be having to make any repairs to your property, no matter how big or small. If you want to sell your house fast and as is, without having to make repairs or clean up your property, contact Big Easy Buyers at (504) 513-7878 to set up an appointment at your home.